Hot summer days call for refreshing drinks, like Sparkling Lemon Herb Tea. In a small saucepan, heat the juice just to the boiling stage. Remove from heat. Stir in the mint and honey until honey is dissolved. When cool, remove the mint. Combine honey-mint mixture with tea until well blended. Pour equal parts juice mixture and sparking water into an ice-filled glass. Garnish with extra mint and lemon slices. 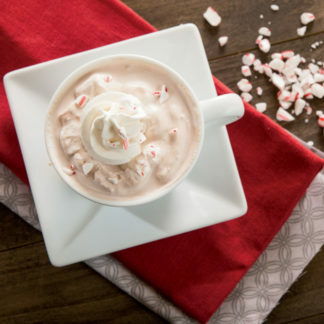 Get into the holiday spirit with festive peppermint hot chocolate.